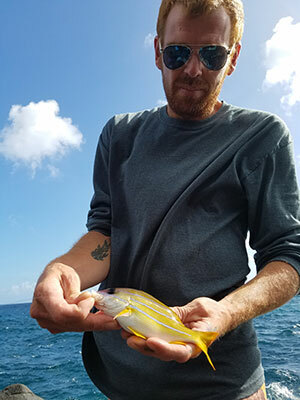 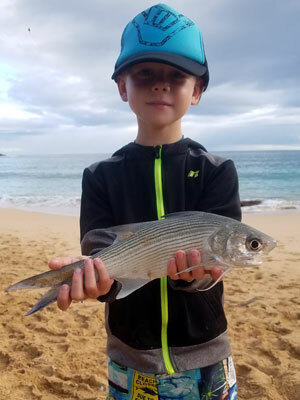 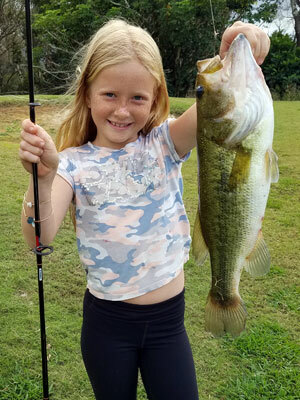 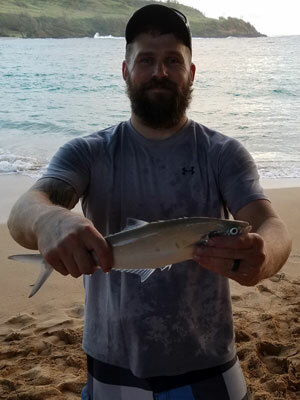 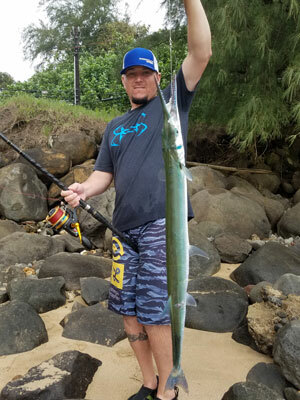 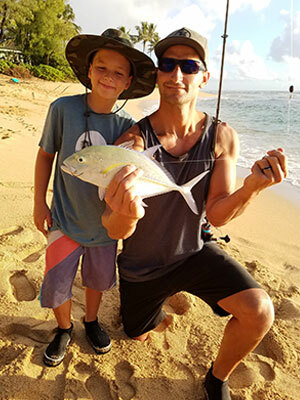 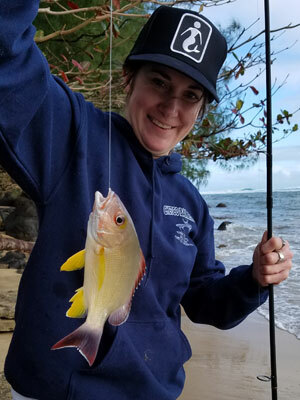 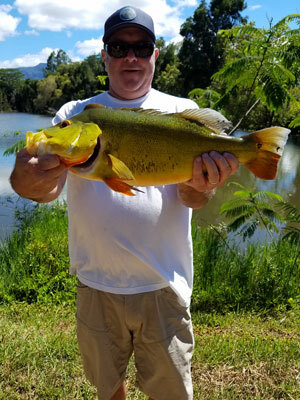 Hooked on Kauai is a personalized fishing guide service that provides island wide saltwater shoreline and freshwater sport fishing adventures to families, individuals and small groups. 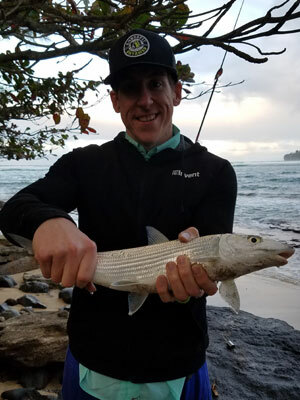 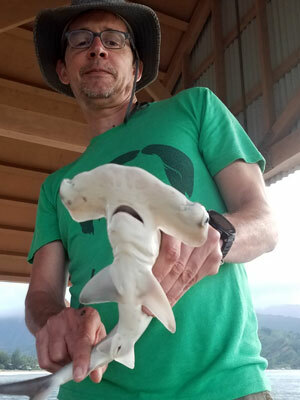 All chartered tours integrate local, place based species knowledge, utilize best practices (catch and release only) and whenever possible relevant history about the area. 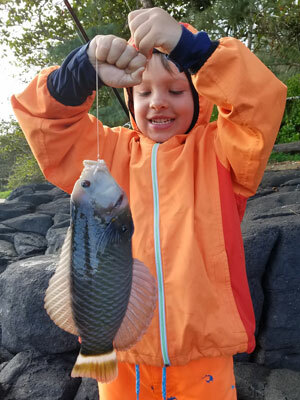 We strive to create a fun, adventurous and educational experience for all of our guests. 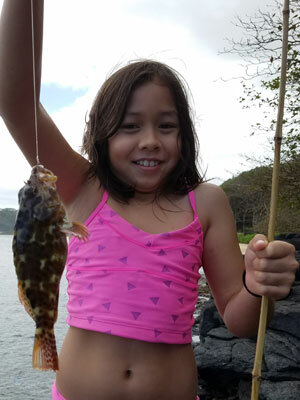 Our tours are family friendly and can accommodate children as young as 5 years old. 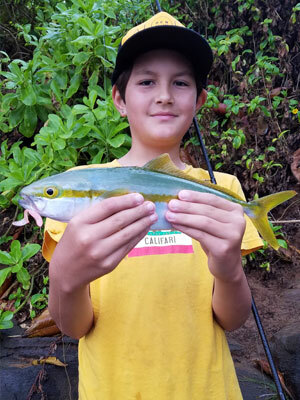 Guides will provide fishing poles, gear (tackle, bait, chairs & cooler) and light refreshments. 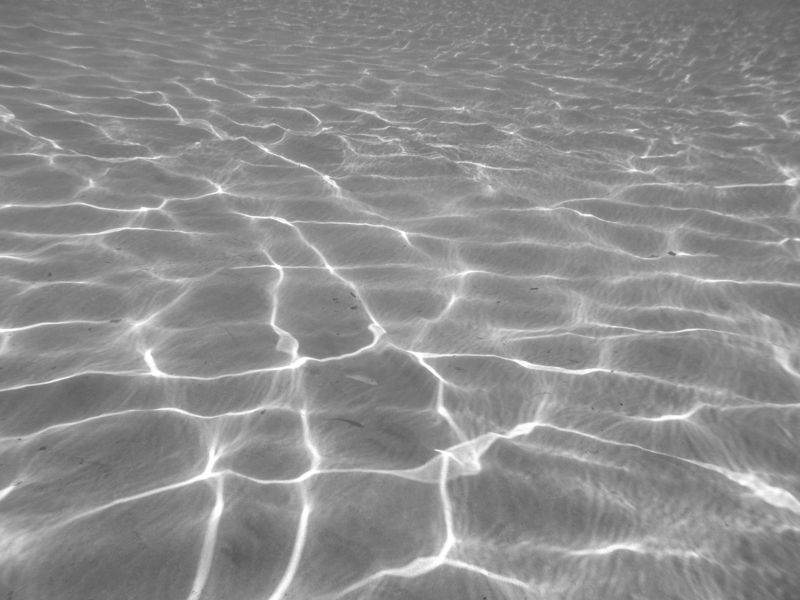 A good pair of polarized sunglasses, your bathing suit and a sufficient amount of sun protection is always recommended. 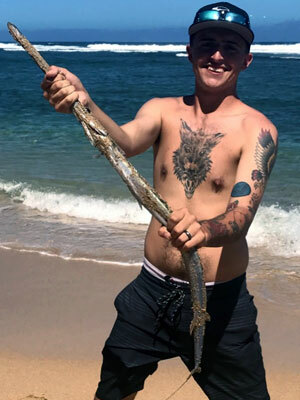 Some tours may require specific footwear (Tabi’s for walking on rocks). 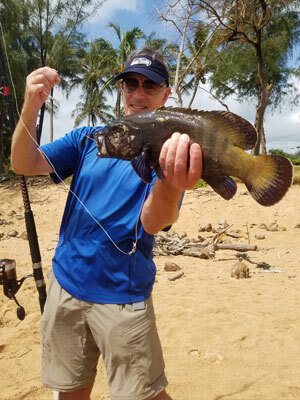 Most locations consist of a sandy shoreline but we do offer rock and cliff options for the more experienced and adventurous angler. 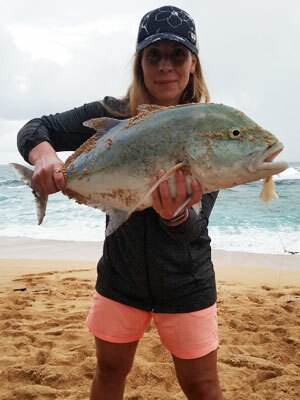 Basic charters can last up to 4 hours, extended and or custom bookings are available upon request. 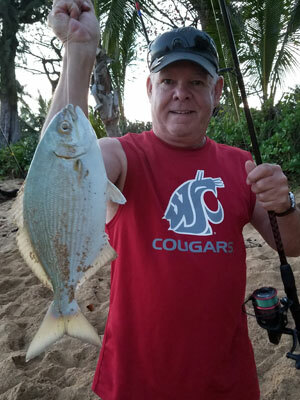 All excursions are customized to meet skill level, desired catch and group size. 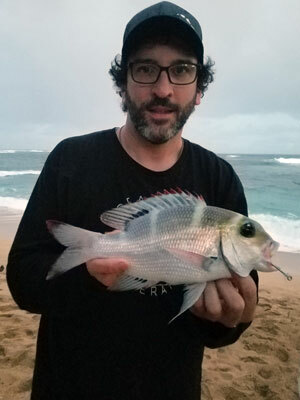 Locations are chosen based on weather, water conditions and proximity to your accommodations. 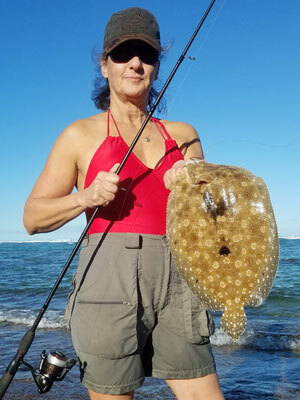 Anglers must provide their own transportation to the location. 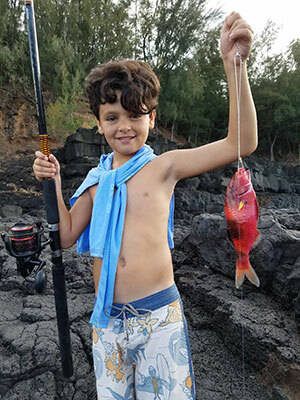 HookedOnKauai.com © All rights reserved.